Why? 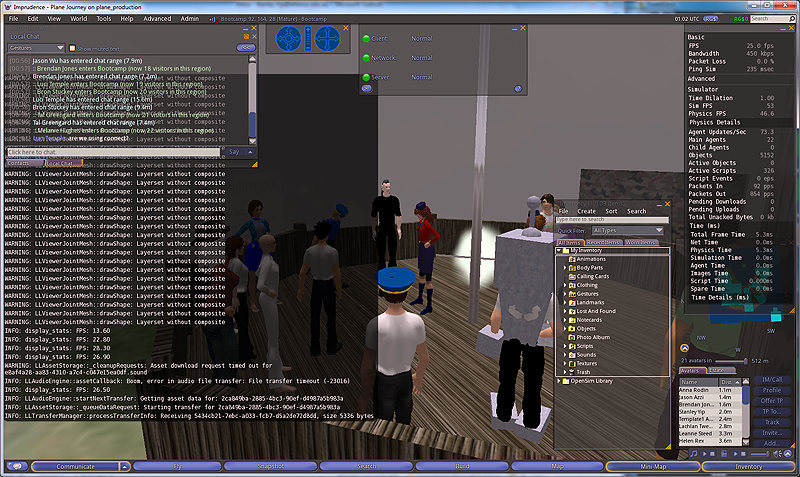 Well just a bit of fun but it’s related to the walk script and the OpenSim physics engine, (ODE, OPenDynamicsEngine). 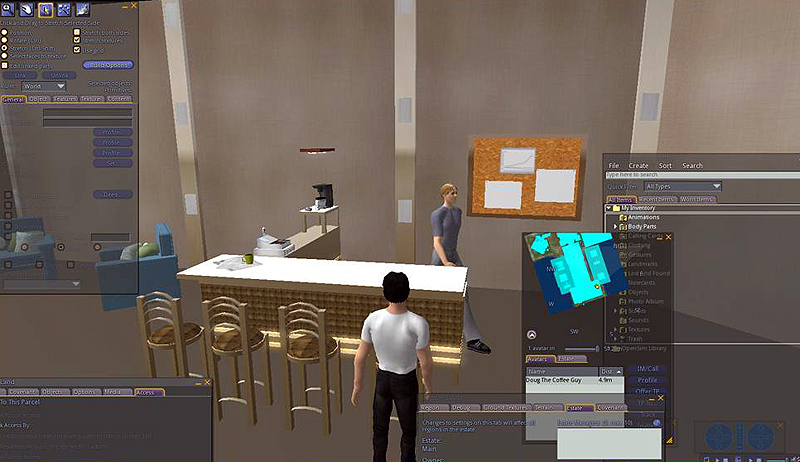 We think the walk script on the Doug NPC was causing the avatar to ‘bump’ into objects constantly and hence eventually crash the ODE engine. So for now if anything goes wrong Doug the Coffee Guys did it! 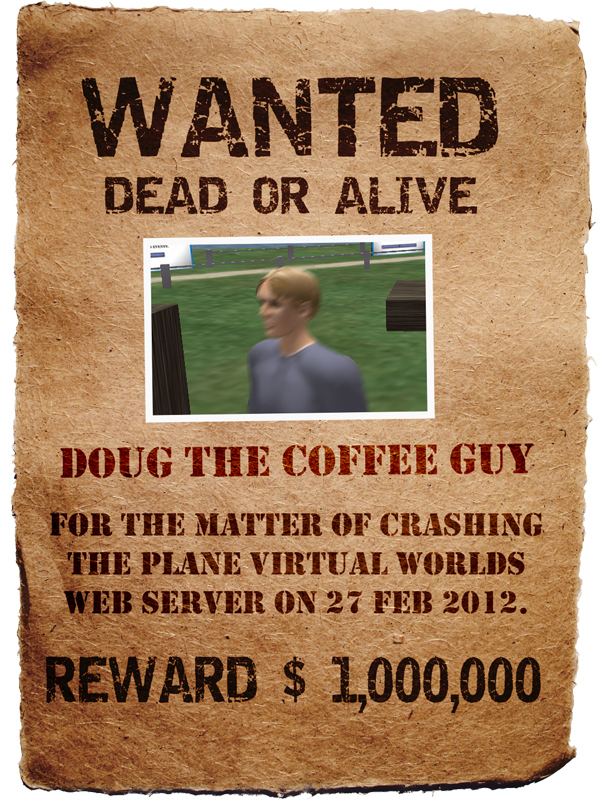 But I have a feeling he’ll be back in our virtual world in a reformed and better state.